ABP is taking the PBX management to a whole new level for our 3CX partners. We are pleased to present you with our IPTechView™, a state of the art MSP tool for the 3CX partner base. This tool will revolutionize the way you manage your 3CX systems and help you continue to scale your 3CX business. Also on the administrative side you'll be able to have all your 3CX systems and licenses in a single pane of glass and simply click on a PBX listing and see a plethora of information at your fingertips. For example, see which license is used at which customer, see them all on a map, have a single click to go to the GUI login page of each PBX. All this is available at your fingertips on a single screen view. Many of our 3CX partners provide hosting and management services for customers all around the Country. 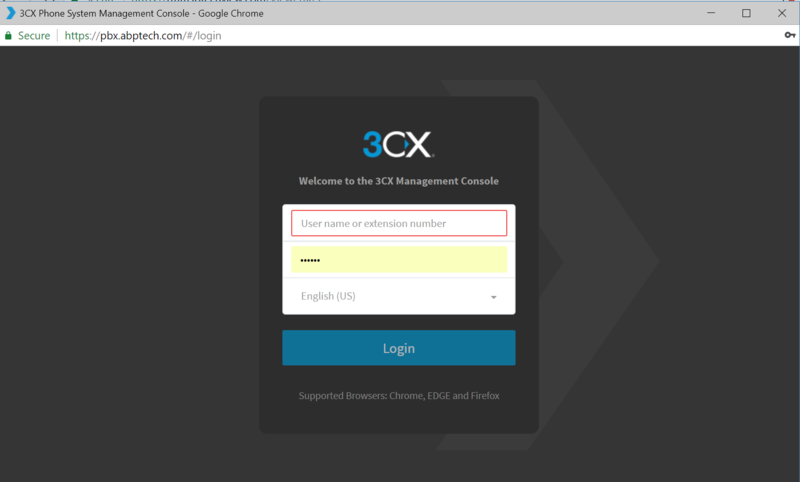 If you’ve ever had to manage more than a handful of PBXs then you know full well how difficult it can be to keep track of all your 3CX system URL, login credentials, licenses being used in each PBX, expiration date of license etc. IPTechView™ allows you to easily manage all these remote customers and continue scaling your business in other cities & states. The location of each PBX will display on a map and your customers’ phones systems will all display in a single portal. Your days of managing the individual PBX URLs and credentials via an Excel spreadsheet are over! The system also has a Password Vault to assist you in password management as well. Here’s an example scenario. Your customer has a 3CX 16 simultaneous calls license. They have added a few new employees and have periodic spurts of 13 or 14 active calls at any given time. The native 3CX alert tool built into the 3CX system will email you when they hit their license max but wouldn’t it be nice to know when they are approaching the limit but have not yet peaked? IPTechView™ is the perfect solution. You can program your simultaneous call thresholds and start getting notifications when the customer hits 13 calls, 14 calls or whatever threshold you deem appropriate. Now you can have a proactive conversation with your customer to let them know they may be outgrowing their license and would be a good idea to start allocating some room in the budget for an upgrade to a 32sc license in the near future. In addition to making your life easier and reducing management headaches, IPTechView™ also presents a perfect opportunity for you start making recurring revenue (if you’re not already). You can wrap your 3CX management into your existing MSP contract bundle or add this as a new line of business. It’s up to you how to charge the customer but a common theme we’re seeing is a partner will charge a monthly management fee that includes backups of 3CX, adds/moves/changes along with proactive monitoring and support for critical events that may occur on the system….you can do all of this without ever rolling a truck. Thus you take better care of the customer all while being more efficient doing the work remotely and reducing employee cost by not having to physically visit the site. 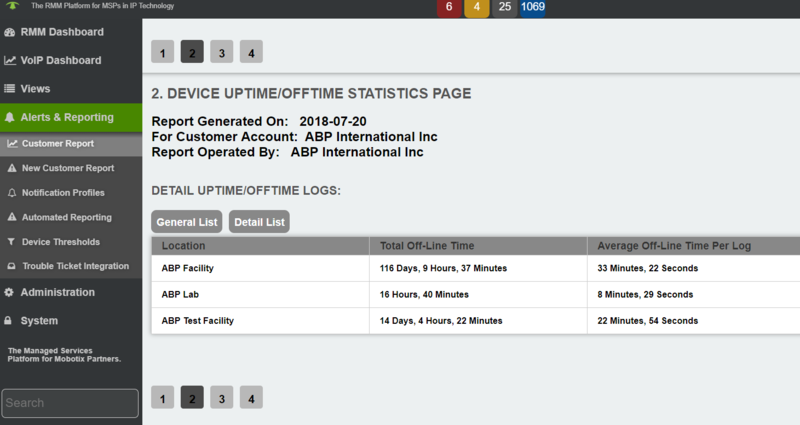 Leverage IPTechView™’s brandable maintenance reports that will produce a record of your time and effort managing the system on a weekly/monthly basis. The advantage of reducing truck rolls is that you spend a lot less time on site. The flip side of that coin is your customer rarely sees you...don’t let them start wondering “what am I paying this guy for?” Instead, educate them about how they will have lower support costs since they do not have to pay you for travel time and they will get much faster service. Validate this by sending them a periodic weekly or monthly automatic report that highlights the time and energy your team spent maintaining their system every month. Call ABP for your account creation, login credentials and to schedule an onboarding call. We’ll help you connect your first few PBXs and set you on your way to adding your entire 3CX customer base to the platform. 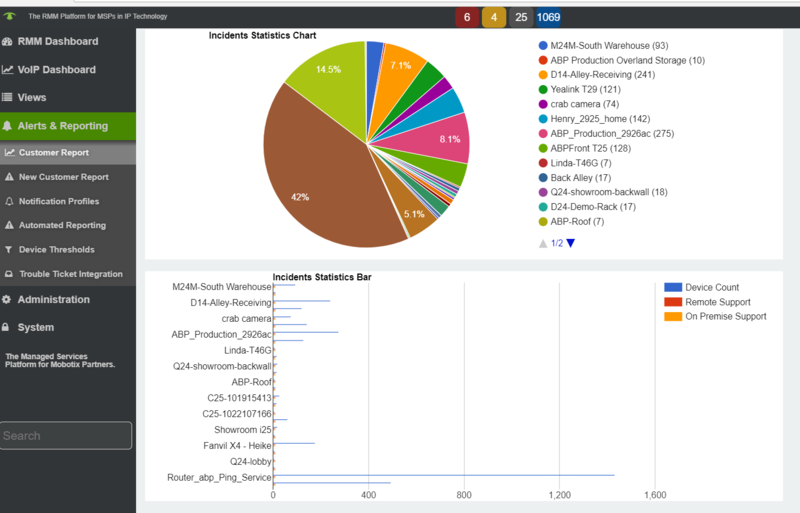 The ability to set thresholds for warning or emergency alerts on MOS scores (a measure of call quality) and the specific actions or type of alerts make IPTechView™ a fantastic comprehensive solution for VoIP QoS monitoring. IPTechView­™ stores statistics about VoIP call quality. Users can see the history of calls and the MOS score calculated for each call. By looking at historical MOS scores of sites or individual phones, service providers can identify sites or users that have consistent poor call quality and take action before hearing complaints from the end user.